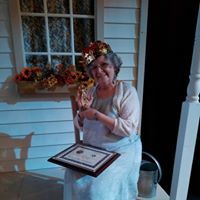 Immediately after Friday's opening performance of Oklahoma!, Prince William Little Theatre honored founding PWLT member Susy Moorstein with a Lifetime Achievement in Theatre Award as appreciation for her tireless efforts to bring community theatre to Prince William County. PWLT's current president Chrissy Mastrangelo honors Oklahoma's Director and PWLT Co-Founder Susy Moorstein for her many years of service. Mrs. Moorstein is one of the co-founders of Prince William Little Theatre and has worked continuously with the company since 1984. During this time she has filled many Board positions, frequently serving as President. Mrs. Moorstein has worked on dozens of PWLT productions, serving as a director, producer, actor, costumer and stage crew member. She has been one of the driving forces in PWLT’s 33 year history, giving countless hours in a wide variety of capacities. 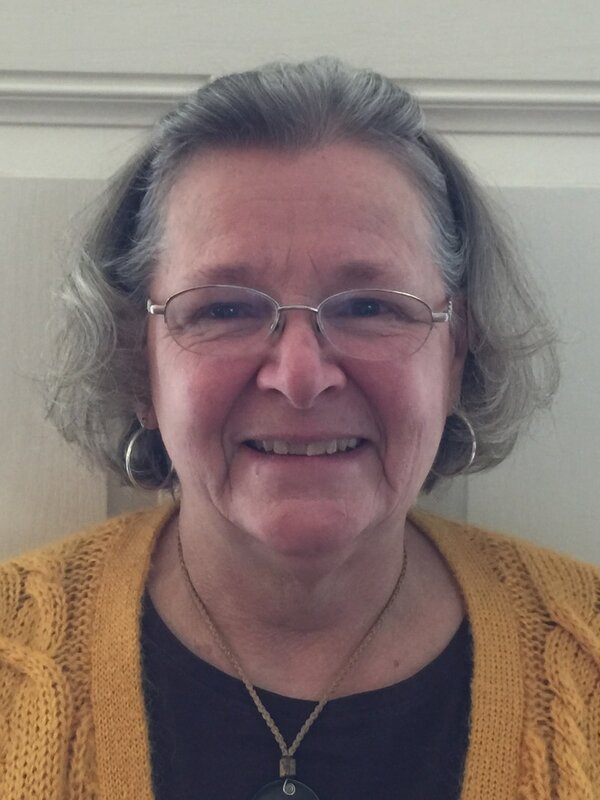 Mrs. Moorstein has also worked with many other professional and community theaters in Virginia and other states, and has been nominated for awards as a performer and costumer. She attended Akron University, Firestone Conservatory and George Mason University and was a founding member of the Akron Repertory Company in Akron, Ohio. She is a former member of Actor’s Equity Association. She does costume workshops and has judged costume design at the state level. Mrs. Moorstein has also served on the Board of the Prince William County Cultural Arts Federation and served as President for five years. For several years she was the Community Theatre Chair on the Board of the Virginia Theatre Association. While she is not serving our community, Mrs. Moorstein is the owner and manager of SusyQtiques, a vintage clothing and collectibles shop in Leesburg. She and her long time husband Marc are also proud parents and grandparents.